I also found issues (1) and (2) were also present on the Blue Gingham Shirt, also made from this pattern. Issues (3) and (4) do appear on the Blue Gingham Shirt, but are not very noticeable. I’m not sure why the Peppermint Stick Shirt has the issues with the tightness and the drag lines across the chest. It might be because it was cut on the cross grain to make the strips fall vertically, but I’m not sure. A pattern can fit differently when made with different fabrics. But with two shirts made on the same pattern, I could see there were still some minor fit issues, common to both, I wanted to fix. As an engineer, I constantly remind myself that “perfect is the enemy of good”, so I was reluctant to play around with the pattern more. Both the Blue Gingham Shirt and the Peppermint Stick Shirt fit me pretty well as-is. But I also thought that I could improve it, and since I have the pattern stored digitally on the computer, I could always go back to the previous pattern if I wasn’t successful. I experimented a bit with pinning both shirts to test out some of my fit ideas. I also made another muslin to test the changes before making the pattern alterations on the computer. a) Lower the neckline in front by about 1/4 inch, and blend it up into the neckline at the point the front piece meets the yoke. This should address Fit issue (1). b) Make a slight adjustment for square shoulders. This should address fit issue (3). 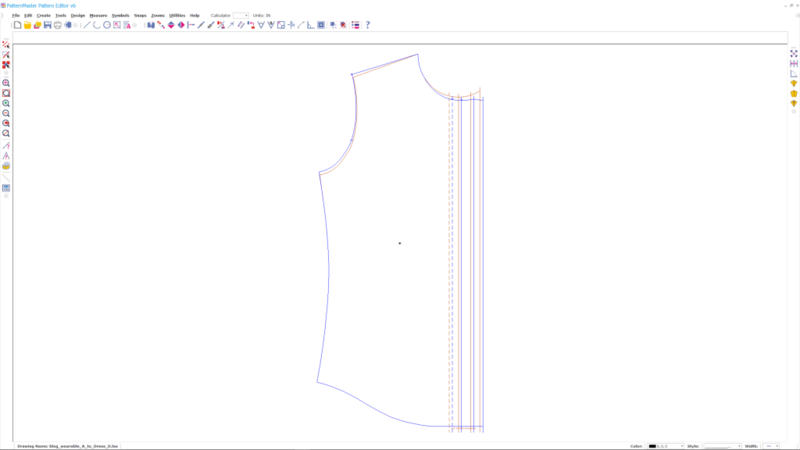 The alteration raises the shoulder tip by about 1/4 inch, making the shoulders less sloped. c) Add 1/2 inch of ease across the front of the shirt. The added ease addresses issue (4) directly, and was determined by playing with the muslin. I don’t really need the extra ease in the front below the chest, but I’m not going to care about an extra half inch. 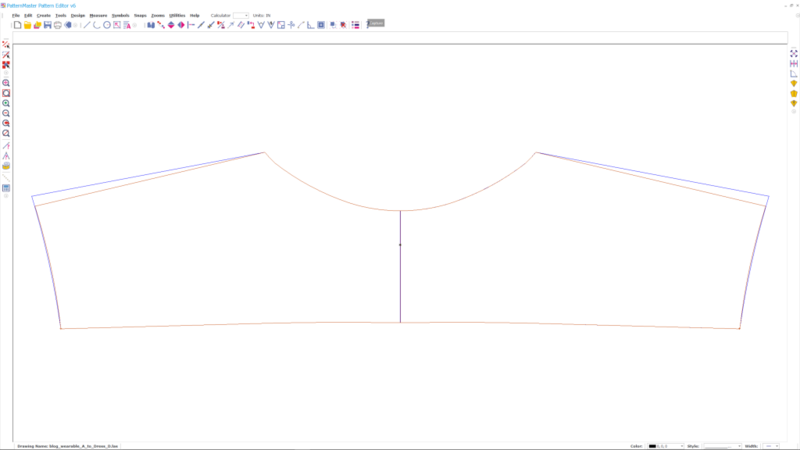 Here’s what the pattern alterations look like in Wild Ginger’s Pattern Master. The orange outlines show the previous pattern, the blue lines show the altered version. I’ve removed seam allowances for clarity. (Click or tap for larger versions). The yoke piece shows the effects of the square shoulder adjustment. The new yoke has a less sloped shoulder. The front piece shows several alterations made at once. The neckline is lowered, and the shoulders squared. This causes the armscye to raise up to meet the new shoulder tip. Finally, I added 1/4 inch to the center front, for 1/2 inch of extra ease total. (The dashed line is center front). Finally, the sleeves are lengthened by 1/4 inch to accommodate the armscye rising 1/4 inch. 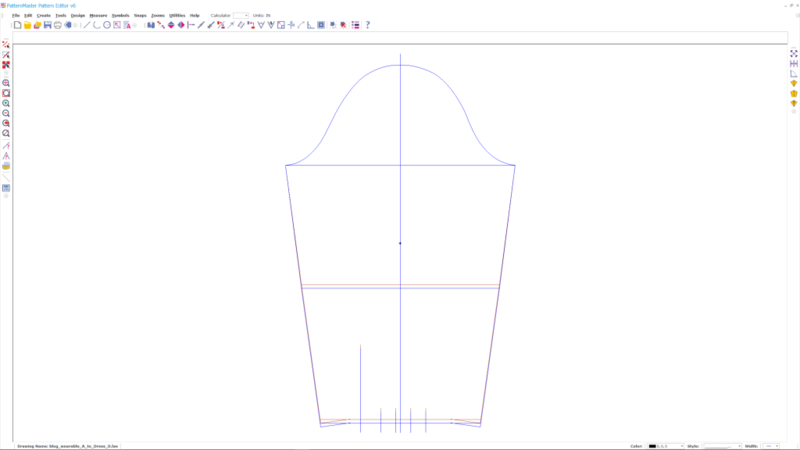 The collar and stand pieces also get a little bit longer, because the neckline increases in circumference a small amount. I haven’t shown that alteration here. 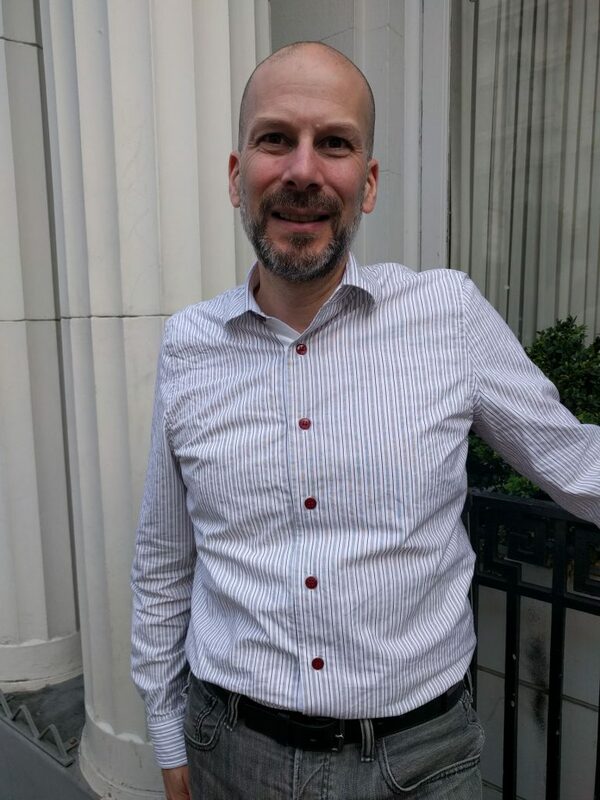 After updating the pattern, I wanted to see an actual shirt made from it before committing to making the Pink Shirt. So I’ll talk about constructing the Chevron Latte Shirt. Thank you! I was really happy with the way that project came together. The buttons were a big part of it.